We all remember the incredible, marvelous season Patrick Ewing spent in Seattle, don't we? Of course not. But Ewing has become the second former Sonic player to be inducted in the Hall. In addition, two (or three, depending on how one looks at it) former Sonic coaches are also in the Hall of Fame. It's bizarre, in a way, that a franchise with 40 years of history has such little representation in the Hall. Dennis Johnson was denied this year, but he may get in someday. Gary Payton is a lock, but Shawn and Det and all the other great guys from the 90s, or X or Chambers or Ellis from the 80s, or Gus and Haywood and Downtown and the 70s contributors - none of them will get in. Sadly, if Clay Bennett manages to yank the team out from Seattle, 100 years from now there won't be much to remember of these 40 years of Sonic basketball, will there? 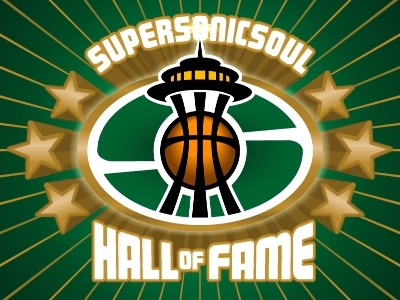 If you know the other three Sonics HOFers, prove your smarts in the comments section. Lenny Wilkens counts as a player and as a coach. Bill Russell is in the Hall of Fame and he's a former Sonic coach. I was going to guess Wilkens and Russell, too. Who are we missing? And how pathetic is it that after more than 40 years of Sonic basketball, the only HOF player we've had who spent more than a calendar year here is Lenny Wilkens? Amazing. We rip a nice chunk out of the Nugget's playoff chances last night in 2OT, 3 weeks after they beat us by 50 something, with Durant and Green looking like f'ing superstars, and not even a word about it on here? Sad. Oh and Ray Allen will get in one day, he had a few good seasons in Seattle. Jack Sikma's gotta be in there, doesn't he? May Clayton Bennett and David Stern burn in whichever circle of hell is reserved for traitors to the game of basketball. Ewing, Thompson, Russell, KC Jones, Lenny Wilkens. Bottom line: in 40+ years of Sonic basketball, it won't be until Gary Payton gets into the hall that a Sonic player that they drafted and nurtured will get in. Pretty amazing. How about the HOFers that they had rights to that never played for them??? 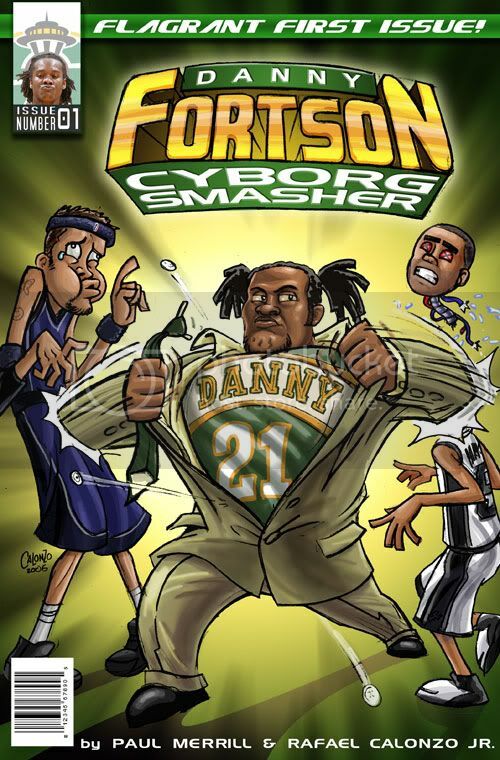 Dennis Johnson deserves it more than any other Sonic - he was a championship MVP. Scottie Pippen was Sonics property for a little bit.